Perfect. This color is amazing! Definitely a fantastic color...it's really gorgeous! 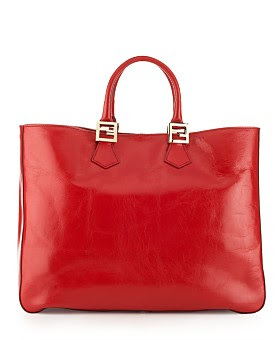 You can't go wrong with red and that tote is classic! i always forget about fendi! lol. that silhouette is really classic, a good structured lady-bag never goes out of style. the color is so fun, too! i love your blog! It's indeed a classic. I am debating over the color. perhaps grey or black is better in the long run.